I have for you today the new Sephora Ariel nail polish set. This is a set of 6 mini nail polishes that are inspired by Disney's The Little Mermaid. I might add the The Little Mermaid is my favorite Disney film so this was a must have for me. I collect Ariel/Little Mermaid thingamabobs, so this needed to join my collection. I have done one finger swatches with these, since the bottles are so tiny. We Are in Luck Here is a bright coral red creme. Hotter Under the Weater is a deep plum creme. 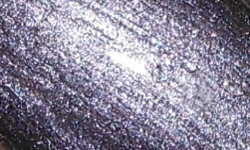 Off the Hook is a gunmetal metallic shimmer. 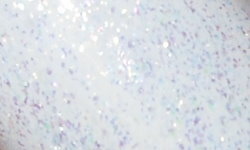 Life is the bubbles is a iridescent shimmer with sporadic iridescent flakes in a clear base. 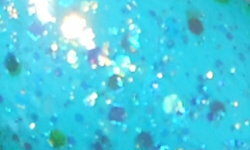 Devotin' to Floatin' is a teal metallic shimmer. Colors: These are not colors you haven't seen before. Ariel is dupey to Sinful Colors Nail Junkie and Spoiled Use Protection. The cremes and the shimmers can all be found in some other drugstore brand. Life is the Bubbles is probably the most unique, but I don't find it that special. Meh. Formula: These are 0.13fl oz bottles. These are tiny. The formula on these are nice. I didn't have any issues. Price: This set is $24.00 at Sephora stores or on the Sephora website. Overall: The main reason I bought this was 60% for the namesake/packaging 40% for the product itself. If you are a big Ariel fan, this may be worth it to you. The 40% I had in it for the product left me very disappointed. These are not bad colors, but as a huge Ariel fan I would of expected better. I can tell you 100%, I will never use these polishes again. They will sit in my Ariel collection as a nice keepsake. Outside of them being an addition to Disney or Little Mermaid collection, I think they're pretty worthless. They're expensive, tiny, and boring. Sorry. i thought about getting this, too, but i didn't think the colors were that exciting. too bad cause they could have some something amazing with this. i also hate tiny bottles. Sad to see the colors weren't that unique! I love Ariel too! I was totally going to get this and then decided not to. You are right, they aren't that unique and I'm not a fan of mini bottles of anything. Great swatches though! I loved the idea of an Ariel themed box, I'm a huge fan of the Little Mermaid too but I'm with you with this one. The polishes aren't fun or unique. I hate tiny bottles too, and I agree pretty hum-drum. Exactly. I think they're trying to cater to a wide market, so they include some classic wearable colors. You're right though, they could of done so many more fun things with this. I'm sad about it too. Thanks! You made a good choice. You're not missing out really. The idea is definitely nice, I so wish it had followed through. Oh well! My expectations were high! I agree. I bought this as well and I love the colors but they're easily found in other brands. Plus the formula is pretty awful most of mine were goopey and needed to be thinned out.